Dubai Police has recently amended the rules for passengers in cars. This is in inline with the government vison to make Dubai roads a safer place for all ages. We all have seen so many times careless parents allowing children to freely roam around the car while its moving. 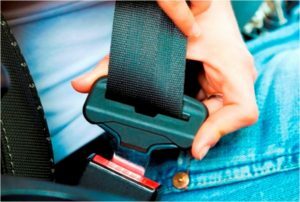 In fact the minute someone sits in a vehicle the seat belt should be buckled , this is a matter of principle and safety. The government have announced that the fines will be between 400 dhs to 10000 dhs and 24 black points for breaking the rule.